In celebration of Mako Road's LOCAL SAFARI EP release, the Christchurch indie four piece hit the road and go on a not-so-local safari around New Zealand. Infused with a melodic reggae, ska and folk inspired sound on this, their second EP, Mako Road deliver five sun soaked tracks punctuated with cruisy riffs, laid back harmonies and easy vocals. Following on from their debut EP ‘The Green Superintendent’, the ‘Local Safari’ EP continues to display a love for great pacing and sonic builds while still progressing their own unique sound. 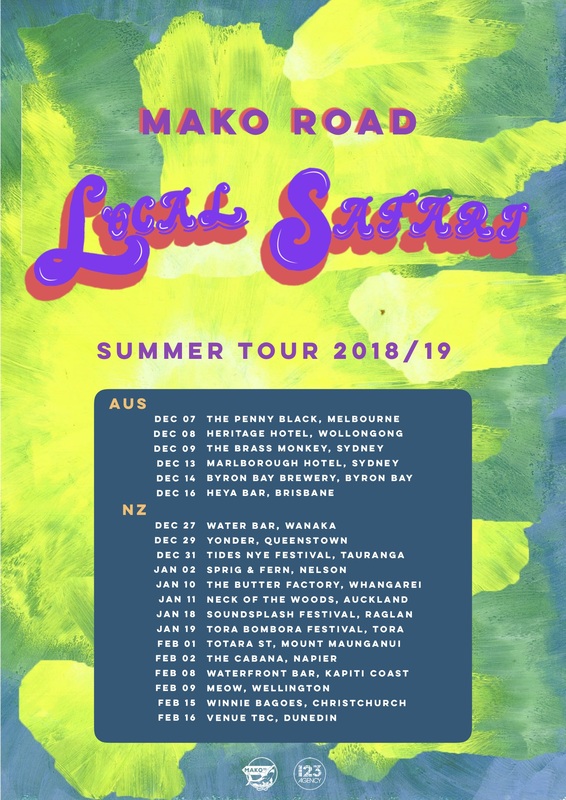 Whether you’re stuck city side, at the beach or heading out of town on a roadie to enjoy some of the summer festivals, Mako Road will be performing near you.